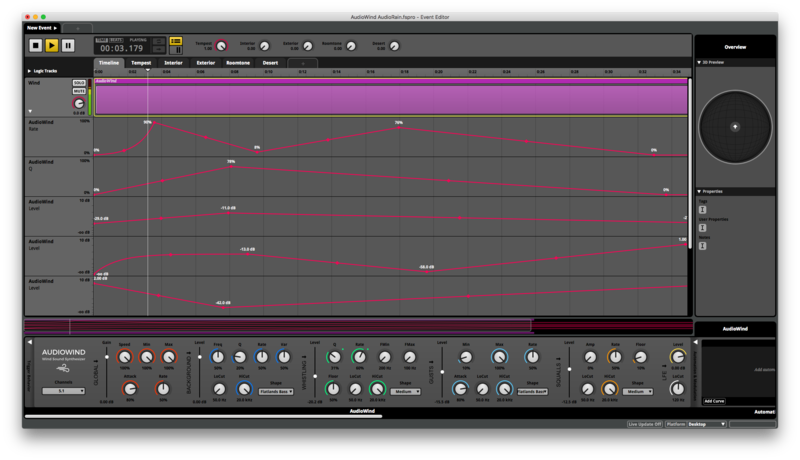 AudioWind FMOD is a synthesizer dedicated to creating wind sounds and ambiance sounds. The synthesizer is based on procedural audio technology which allows full control of dynamic sound evolution in real-time. 1 - Background synthesizes the immersive wind sounds. 2 - Whistling synthesizes small whoosh sounds. 3 - Gusts simulated the wind interacting with significant objects. 4 - Squalls simulates the sudden increase of sound pressure caused by a strong air flow. that gives the full power for real-time sound shaping. Just load the plugin and select the preset you need the job is almost done. The factory presets cover various scenarios from desert wind to seashore breeze, all available within a simple click. 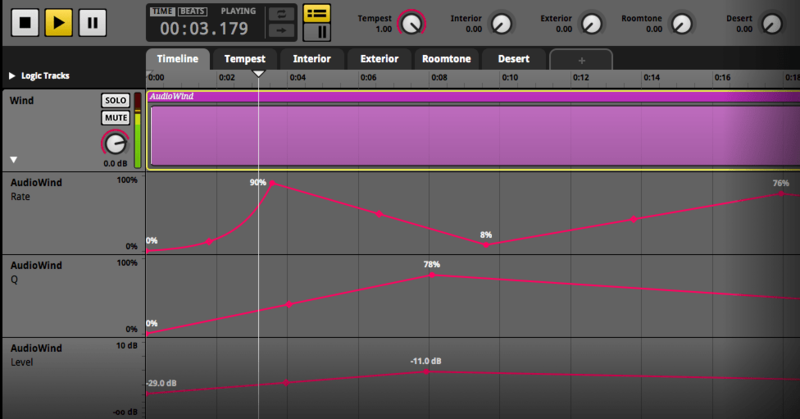 With all the parameters automatable, you get the total control of the sound. AudioWind is not only great for creating wind sounds but is also perfect for filling the ambiance like room tone. AudioWind technology is also available as DAW plugins, click here learn more. We are an official 3rd party developer for FMOD Studio. Our plugins are tightly integrated into FMOD Studio as plugins.